Yum Yum Yum is all I can say about these Crock Pot Cheesy Ranch Potatoes. They are packed full of my two favorite flavors – cheese and ranch. I’m loving all the new crock pot recipes I have been sharing. Have you been enjoying these slow cooker recipes as much as I have enjoyed making them and sharing them with you? I hope so! 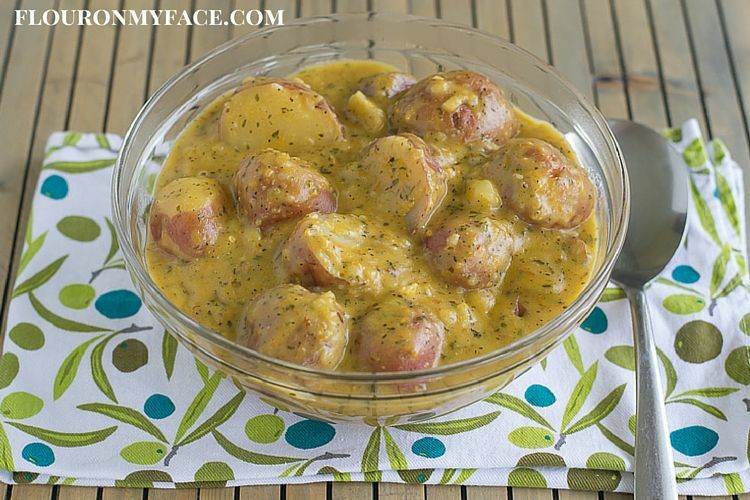 This Crock Pot Cheesy Ranch Potatoes recipe is so easy to make. It starts out with some baby red potatoes. If I had to pick my favorite potato it would have to be baby red potatoes. They have such a great flavor and are perfect little potatoes for so many different types of recipes. Not only is this Crock Pot Cheesy Ranch Potatoes recipe easy to make it also makes a great Freezer Meal Side dish recipe. Place all the ingredients into a 6-quart crock pot. Cover top of crock pot with a triple layer of paper towels. Place the lid on the crock pot. Top with addition shredded cheese if desired. Cover and allow cheese to melt before serving. 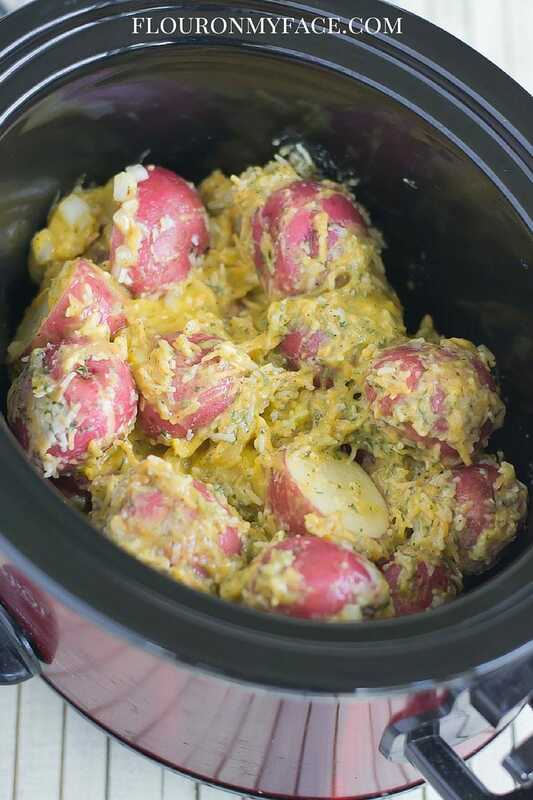 Make these easy Crock Pot Cheesy Ranch Potatoes in the slow cooker. A perfect side dish recipes with very little work. 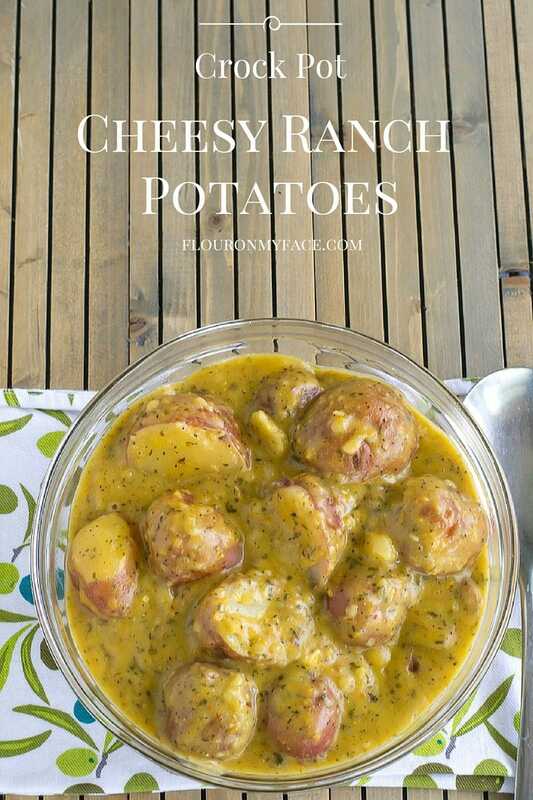 Love this Crock Pot Cheesy Ranch Potatoes recipe? 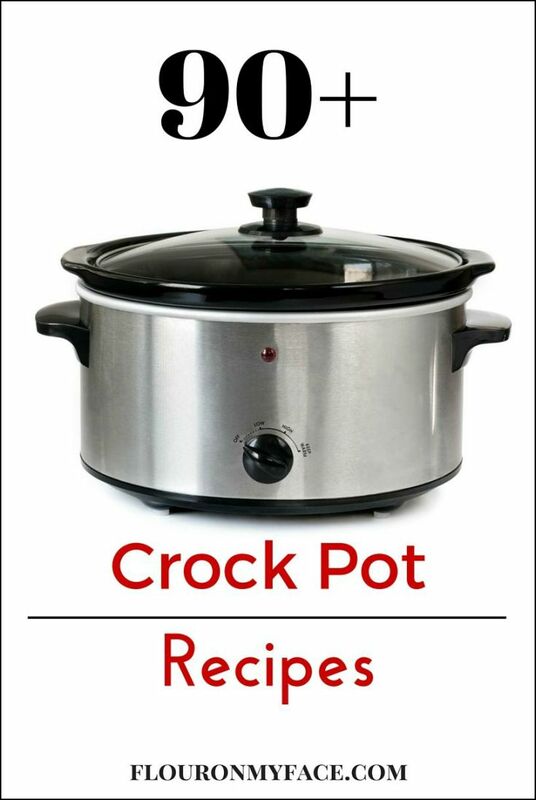 Check out my Crock Pot Recipe page for more than 90+ Crock Pot Recipes for families. I assume the recipe calls for ONE 10-ounce can of cheese soup and not TEN cans? Yes Bobby you are correct. Thanks for letting me know about the typo. Yum!! These sound so good! Thanks for linking up with Merry Monday this week.